today I want to tell you about an opportunity to find out what I am actually doing when I am not writing blog posts. The event is called ‘Science goes PUBlic’ and the concept is plain and simple: If you want to tell people about science, go where the people are, don’t wait for them to come where you are. So, next question: where could you find people willing to listen to you in a cozy atmosphere? Again, the answer is plain and simple and, yeah, you probably guessed it from the name: in a pub. 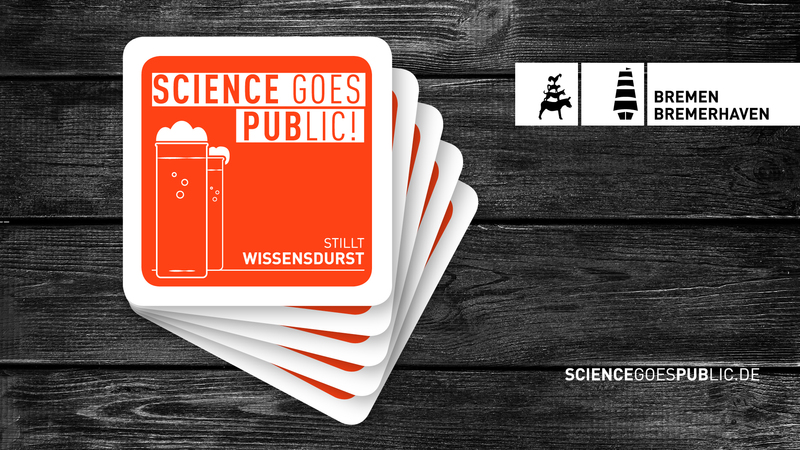 This is why, since 2005, scientists from Bremerhaven and later also Bremen scientists explain their topic in an entertaining and easily understandable manner in popular pubs. The event happens twice a year twice and is spread over several weeks. This week, it’s my turn: Thursday, March 29th at 8 30 pm in the ‘Karton’ I will explain you how the Arctic changes and, especially, why we should care about it. Hint: polar bears are not the only reason. I will talk for 30 minutes and afterwards you can ask ‘holes in my stomach’, as we say in Germany. I would be happy to see you there!